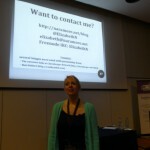 For those who don’t know me, I always do a small write-up on each conference I attend (it is to persuade all you non-attendees to be there next year and maybe say hello). This write-up will be on an incredible event packed with lots of interesting topics, relaxing atmosphere, interesting people to meet AND goodies to win. 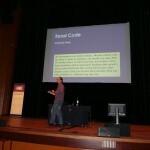 In short the Dutch PHP Conference. And this year it got even better. 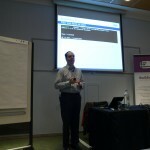 The Dutch PHP Conference is an event organized by ibuildings and spans 3 full days. One tutorial day and 2 conference days. 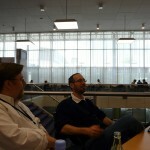 Generally the talks cover the more advanced PHP related topics. This year was the fourth installment of many more to come and was hosted by Lorna Jane Mitchell. 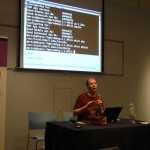 Compared to the previous years there was a new feature: the Uncon organized by PHPBenelux. The uncon is a less formal main stage at the conference where beginning and experienced speakers can bring their topics under public attention. You get requested the same day to speak in a certain time slot or you can volunteer to talk. If accepted your name will be listed next to the main speakers topics. the database logic or a web service). Why it is a good idea to implement using a factory (or even dependency injection) and not hardcode your dao inside each model. Creating a dao interface (contract based design) so that when you want to switch to another implementation, the model requires no change. that with this system (what OOP is all about) you create clear separation and unit testing is made very easy. on everything programming related. 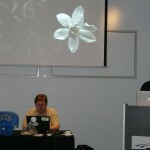 It is about so much more than PHP. I urge you to join even if you are programming into a different language like .net or java. There is a wealth on information at this event and you feel the positive vibe of each and every attendee. The sponsors gave away some cool gifts too, with Microsoft taking the lead. The raffle included a full week to Las Vegas, an XBox360, programs and much more. Microsoft is really starting to embrace the PHP Community by sponsoring almost each PHP Conference, for which the community is very grateful. 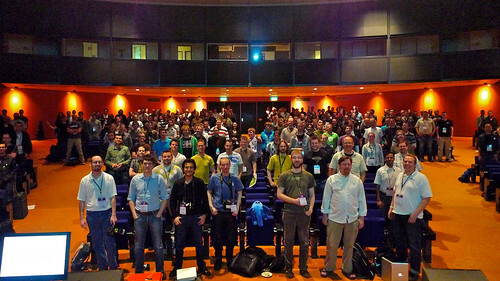 See you next year at The Dutch PHP Conference 2011 (9-11 June 2011).